The Williamston area boasts a number of colorful restaurants and diners. All offer an authentic flavor of the coastal plain. Our new video about Mom and Pop 'Road Food' eateries in Eastern North Carolina. 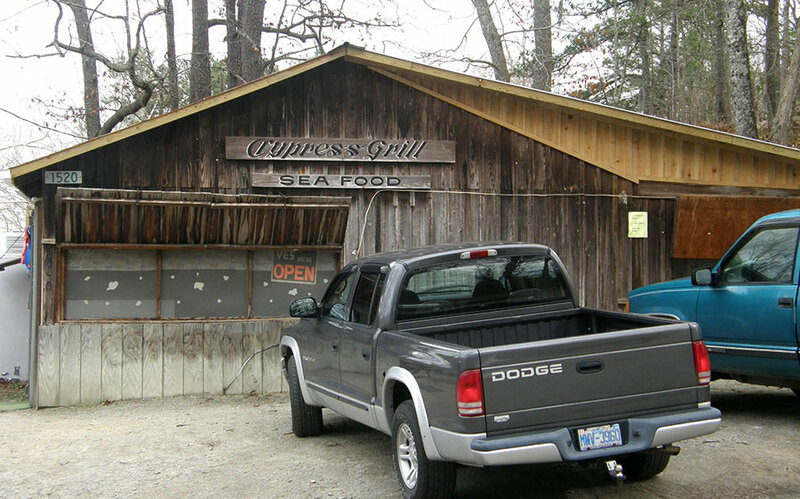 The Cypress Grill, on the banks of the Roanoke River is open only when the herring are running (from early January until late April). Showcased on National Public Radio as one of the few remaining fishing shacks. Deadwood Smokehouse Grill (top right) a family saloon serving grilled food and lots of fun for all the family. 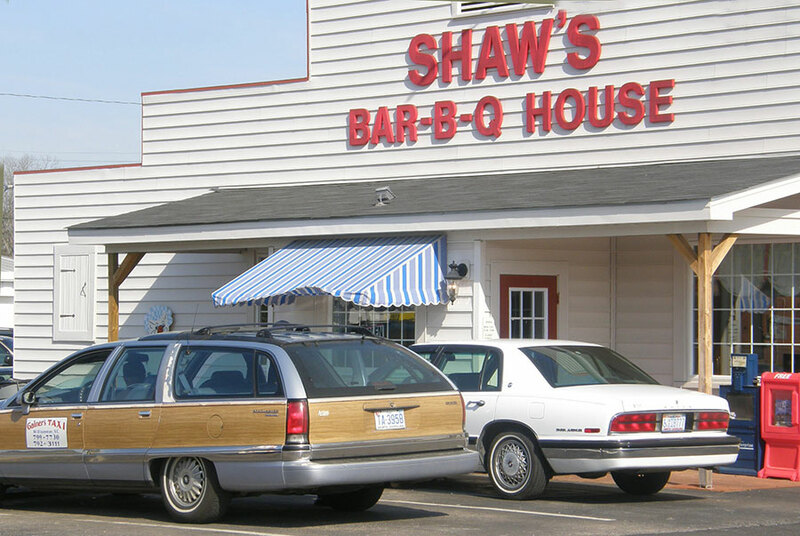 Shaw’s Barbecue, three generations of serving North Carolina barbecue. Griffin’s Quick Lunch, a favorite of the locals. At one time it was the best place to go when you went uptown to the tobacco market. Be sure to order the banana fritters.